Silver Roman Coin. Denarius of Vespasian (69-79), Reece period 4. Obverse description: Bust laureate right. 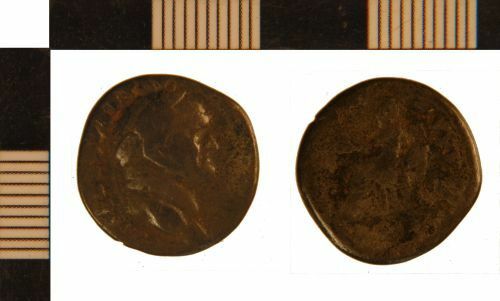 Reverse description: Female figure seated left holding patera and cornucopiae.